Set up Page Title Color. 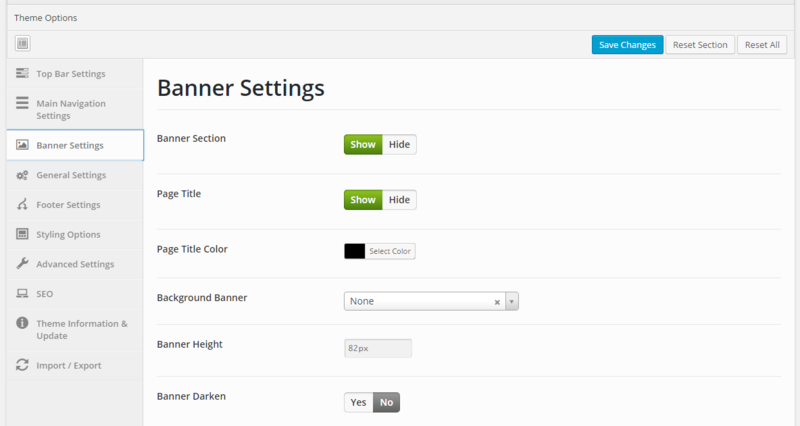 Set up Background Banner (Color, Image, Featured Image or None). Set up Banner Height (in pixel). Set up Shop Background Image.